Commercial printers Lemon Press are one of the Midlands leading B2 lithographic printers and more recently digital printing specialists. Located in Redditch, near Birmingham, we are perfectly positioned to service design agencies and businesses based in Birmingham or across the Midlands. Recent investment in a state-of-the-art Heidelberg Speedmaster XL75 printing press and the Kodak Nexpress SE2500 has put Lemon Press at the forefront of technology. The Speedmaster XL75 is a highly advanced press and is ideal for all kinds of lithographic printing, including: brochure printing, catalogue printing, stationery print including business cards, leaflet printing and printed flyers. The Speedmaster XL75 offers faster make-ready times and enhanced colour management via the Prinect Process Control meaning our print is second to none. 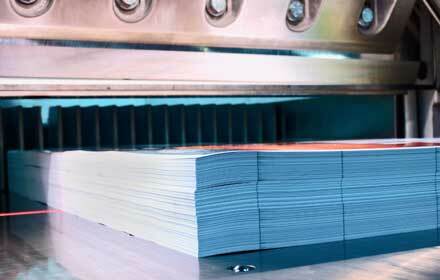 We are also highly competitive on shorter print runs due to this advanced print technology. We have also added the impressive Kodak Nexpress SE2500 digital printing press. This means we are able to offer customers further choice and the opportunity to source their digital printing and lithographic printing from a single source. Lemon Press pride themselves on the highest standards of commercial printing service and quality whilst offering competitive prices. Our estimating team can turn round your enquiries very quickly whether made via our online form, email or by phone. They can be contacted on estimating@nulllemonpress.co.uk or on 01527 510262. If you would like a visit from one of our Account Management team regarding our service as a commercial printers, please contact us and we will arrange for someone to call round and see you to discuss our service and capability, and to understand your print requirements in more depth.